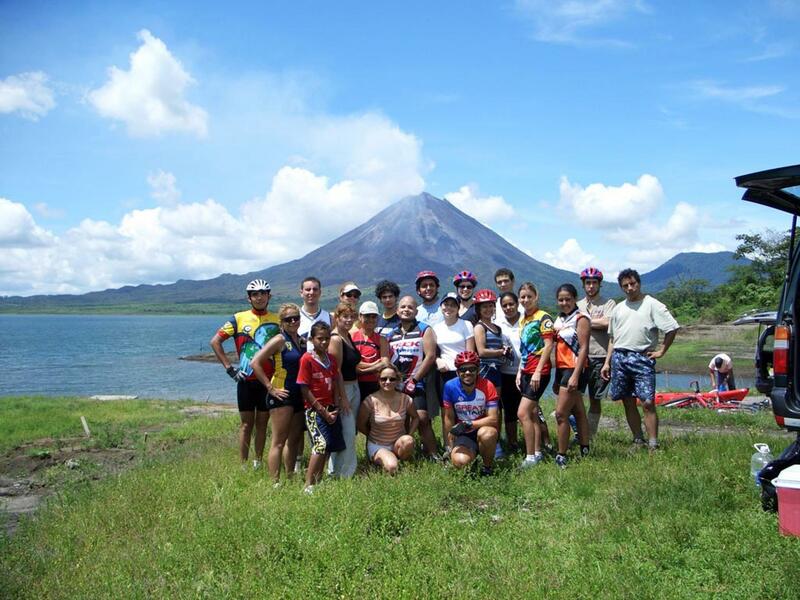 This is a great trip for beginner to intermediate bike riders wanting to explore the Arenal area. The road the group will navigate connects the Arenal dam with the Arenal Volcano National Park. It is primarily gravel, but with some rocky spots along the 8-mile (16-mile roundtrip) journey. As you head towards El Castillo, you'll pass dense forests, pastures, troops of howler monkeys, toucans, coatis and also the Arenal Volcano. Around lunch time, you'll stop for a picnic lunch at the beautiful Lake Arenal, where you'll have an opportunity to swim. The terrain includes gravel and sand roads. The roads have a few rocky spots and are mostly flat, although there are a few short hills. The route is suitable for beginner to intermediate riders. This tour departs from La Fortuna at 8:00 AM and 1:00 PM, and returns at 12:00 PN or 5:00 PM. Note: If you are planning to book this tour please remember to provide the height of each tour participant. Biking clothes or other adequate for the activity, sneakers, sunscreen, camera (optional). "Beautiful view. Fairly challenging ride for me but not quite challenging for my avid biker family. Nice stop along the lake. The equipment was good and worked well." Beautiful view. Fairly challenging ride for me but not quite challenging for my avid biker family. Nice stop along the lake. The equipment was good and worked well. Good equipment. Try informative guide. This tour guide was fabulous! He always had a smile on his face. He never rushed us and he was always making sure we felt okay. What an amazing young man.